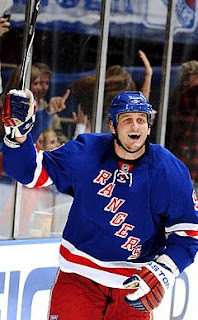 Last night, the New York Rangers sadly announced that Derek Boogaard had died. Read the notice here. The cause of death has not been disclosed, pending autopsy results. Derek did not have a chance to become as well known or popular to Ranger fans as he was with the Minnesota Wild. For a wonderful tribute, please read this and this from the Star Tribune in Minneapolis. He was beloved in Minnesota. Even NPR (a/k/a Minnesota Public Radio) had a tribute for him this morning. After signing a 4 year contract in the offseason, he only appeared in 22 games and missed the final 52 games because of a concussion and shoulder injury. He began his NHL career with the Wild and averaged about 42 games/season over during 2005 through 2010. With the Rangers, he became actively involved in the behind the scenes charity work. He created “Boogaard’s Booguardians,” hosting military members and their families at all New York Ranger home games. In addition, he made multiple appearances with partner organizations of the Garden of Dreams Foundation. During the season, he scored a goal (beating the Caps' Michal Neuvirth and breaking his personal scoreless streak of 234 games) that made You Tube highlights and even made light of it during a Garden Of Dreams commercial when at one point a kid said to him, "I saw you score a goal." Boogie's quick reaction was, "no, that wasn't me!" He also picked 94 as his jersey as a tribute to the Stanley Cup winning team. One poster reported sitting with him and some of his friends last October at a Yankees game. 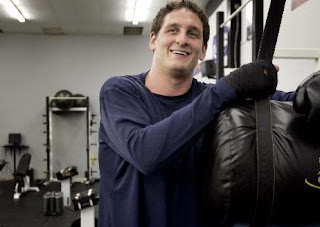 After hearing how happy Ranger fans were to have an enforcer, Derek's friends mentioned that he was in the best shape of his life, including losing 60 pounds during the offseason, taking seriously the importance to be in top condition to play for Tortorella's Rangers. 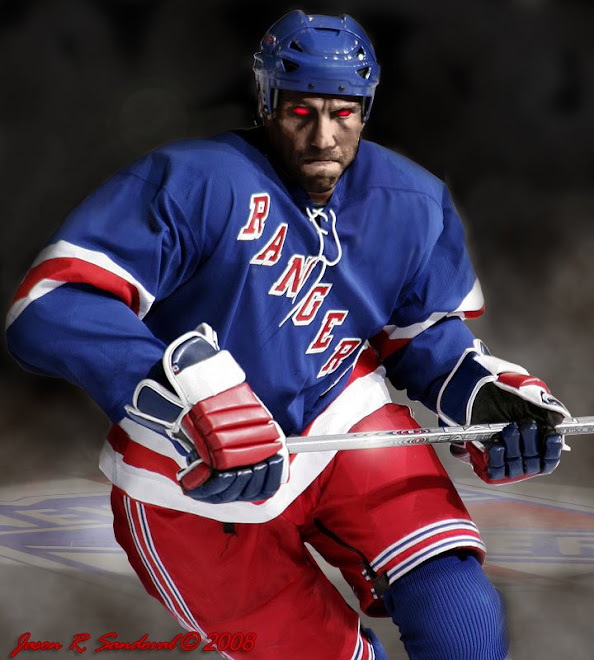 I think Ranger fans lost a good guy without getting a chance to know him. And the Minnesota fans lost one of their favorites. It's a sad day for the Rangers and Wild families. It's appropriate it is a gray day here in NYC.